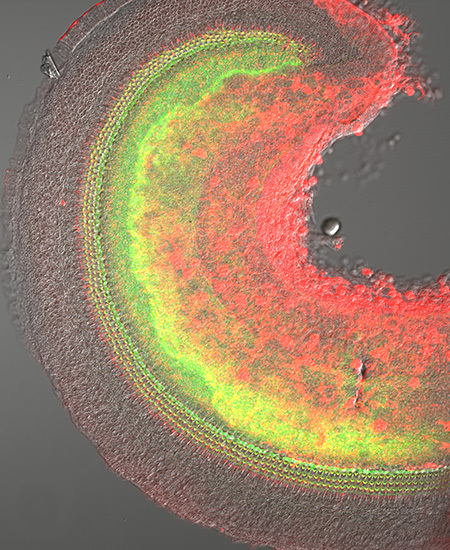 Double immunofluorescence (phosphorylated Radixin in green and Beta-actin in red) superimposed on DIC image revealing the surface of auditory sensory epithelium in 5 day old mouse cochlea. Credit: S. Tanda and M. Berryman. Mark Berryman, Ph.D.